(Southern Weekend) By Ma Changbo. October 30, 2008. Six months after the Wenchuan earthquake, earthquake prediction has becomes an intractable problem. 80-year-old Mei Shirong had been regarded as the top person in China earthquake prediction in mainstream earthquake research. After the the Wenchuan earthquake, there was a specially produced photo of her with a touch of the Cultural Revolution. In the photo, Mei Shirong stood with a placard that read "7.28 5.12 True Murderer In National Disaster, Sinner For A Thousand Years: Mei Shirong." There was a red cross over the name of Mei Shirong. Mei Shirong was interviewed by Southern Weekend. In looking back at the Tangshan earthquake, Mei Shirong was aggrieved and angered at being labeled as the "criminal who failed to file a report." She thought that this was an obvious misunderstanding. "Anyone who is in the prediction business wants to be able to predict one earthquake in his lifetime." With respect to Wenchuan, she had retired a long time ago and had nothing to do with the Wenchuan earthquake prediction. 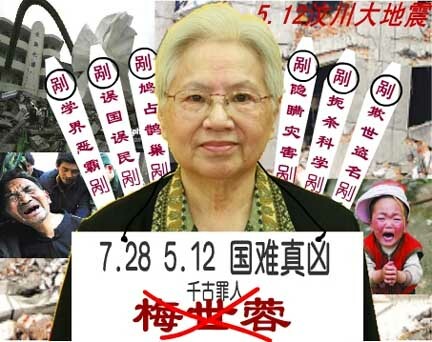 But as a senior researcher in China earthquake prediction, she had to bear the label of "sinner" once again. "There was nothing that I can do. I really want the lesson of Tangshan not to be repeated. Now it has been repeated, and it is even worse than Tangshan. I feel very bad." 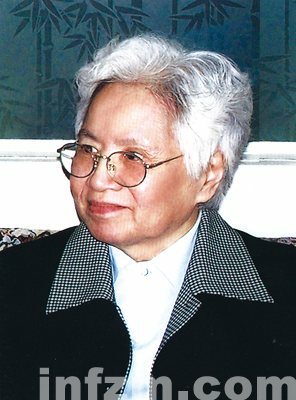 The experience of Mei Shirong may be regarded as the epitome of the awkward state of earthquake prediction in China. After the Wenchuan earthquake, the Earthquake Administration held daily earthquake situation meetings until September 22. Two days before, the Beijing Paralympics had just finished. In mid-October, China Earthquake Network Centre top predictor Sun Shihong officially retired. In an interview with Southern Weekend, Sun said that "the pressure got a lot less" after his retirement. Most of the of earthquake researchers such as Mei Shirong that the reporter interviewed do not hide their more or less discouragement. Some scholars remembered the terrible situation after the Tangshan earthquake thirty-two years ago: the emergence of researchers who claimed to have made the predictions. After the Wenchuan earthquake, these people showed up too. The reports of anomalies from all over the place were also certain to appear after the Wenchuan earthquake. Then there were the public emotions, which they felt immediately. The slightly better thing was that the experts did not have to be afraid to being physically assaulted as in the case of the Tangshan earthquake. "On the Internet, after the curses came more curses. I feel that we deserved to be cursed out." China Earthquake Administration Institute of Geological Research researcher Chen Xuezhong said that on the days after the earthquake, their Earthquake Administration staff did not dare to ask for invoices when they shopped and they got cursed out when they saw the doctors at the hospitals. On the day after the Wenchuan earthquake, the Earthquake Administration workers were cursed out and they became more experienced. "There was an old lady at our unit. When someone asked her why the earthquake had not been predicted, she smiled. This angered people. If she did not smile and if she had bowed or apologized while explaining the difficulties, the reaction might be different. At such times, an act or an expression can make a crucial difference." "No matter how they curse us, we can understand." Chen Xuezhong said, "There is a huge gap between scientific knowledge and the expectations of the people, and they don't understand that 'there was nothing that we can do.' But no matter how difficult it was, we should bow our heads and reflect when something of this magnitude occurs." He can also understand the efforts by the Earthquake Administration to change the public impression as well as the weak technical knowledge behind. This weakness as described by academician Xu Shaoxie as follows: "Earthquake prediction is so hard! Even those people into earthquake prediction cannot tell where or when, so never mind those who are not into earthquake prediction." The predictions of the aftershocks of the Wenchuan earthquake are only footnotes to the Earthquake Administration's insistence that they did not give up. On the evening of May 19 when aftershocks were predicted for Chengdu, many Sichuan friends called up Chen Xuezhong. "Go back home because it is too uncomfortable to sleep outside." He told his friends, "Whenever earthquake is predicted, it never happens." That was how it turned out. In August this year, the Earthquake Administration called a general meeting for everybody within the system to reflect and "explore a new model to prevent earthquake and reduce damage." Recently, the Earthquake Administration held a "mobilization meeting to practice empirical science" in which the lessons from the Wenchuan earthquake will be treated as important points. This seems to be a very complex project. China Earthquake Administration Earthquake Institute of Earthquake Prediction researcher Zhang Guomin said that preliminary results about the lessons will be available by the end of the year. The Southern Weekend reporter conducted many interviews and found the field of earthquake prediction to be solidly grounded in scholastics, embarrassingly short in results, full of political considerations and even involving personality clashes. Some people spent decades in the field and ended up with notorious reputations; some people tried to find a breakthrough but were regarded as preposterous; some people ended up in despair and quit. These various systems of earthquake prediction also involve conflicts of interests. At the most basic level, this is a prediction system whose technical quality is embarrassing weak. The key to all the problems is that the quality of earthquake prediction do not make passing grade. After forty years of evolution, it is still highly controversial as to whether earth prediction should even be attempted. In reviewing the history of earthquake prediction in China, the 1966 prediction of the Yingtai earthquake received attention from the Chinese leadership and the prediction of the 1976 Haicheng earthquake represented the peak of optimism. A huge blow was administered several months later at Tangshan. After taking many years to recover, Wenchuan struck again. In 1966, we can see a high point. In that year, the Yingtai earthquake occurred with more than 8,000 deaths and more than 38,000 injuries. An old man told Premier Zhou Enlai: "When such a big disaster occurs, is it possible to notify the people before hand?" In looking back, the leaders at the time encouraged people to become enamored of "predictions." This also brought them glory, shame, sadness and happiness. Zhou Enlai told the young scholars that they "must find the rules of earthquakes." Among those who were encouraged was Mei Shirong, who worked in that area for more than forty years. It also included Geng Qingguo, the controversial figure who claimed to have predicted the Wenchuan earthquake. There was also Xu Shaoxie who is now an academician of the Chinese Academy of Engineering. "The premier summoned the people from the earthquake sciences and he told them to come up with predictions. Many people promised that they will not rest until they can make predictions," Xu Shaoxie recalled. 1966 was the time when the Cultural Revolution was starting. It was that year when China entered a period of ten years of strong seismic activities. More and more scholars were unable to work in their regular areas, whereas earthquake research was 'popular.' Many including geologist Li Shiguang, meteorologist Zhu Kezhen, petrology expert Weng Wenbo and others were transferred over to study earthquakes. Even historians tried to conduct research based upon the historical record of earthquakes. Certain observational methods from the Yingtai earthquake began to be applied, such as the change in the rock formation, ground electricity, ground magnetism, water levels and radon levels. The senior leaders called for "predictions by the masses, prevention by the masses," "unification of the masses and the experts, unification of Chinese and foreign knowledge." Most of the observation points were set up in schools with the teachers leading some students to make periodical measurements. Some people created their own measurement devices for electricity, magnetism, etc. Some people inserted electrodes into trees to measure the fluctuations in electricity (known as "plant electricity") ... In the reports from the Earthquake Department, they praised the efforts made by the masses such as the observations of "dogs and chicken jumping nervously" and "mice moving homes" as indicators of pending earthquakes. In 1973, meteorologist Zhu Kezhen read these reports on his sick bed and wrote: "Do you really expect to predict earthquakes on the basis of these reports? If this is possible, who needs science? If this should ever become known outside of China, we would become an international laughingstock." But the scientific investigation of earthquake prediction proceeded apace. In the next several years, there were several magnitude 7 or higher earthquakes in China and this increased the political need. In August 1971, the China Earthquake Administration was formally established. A lot of data about earthquake precursors were collected, and the professional earthquake workers tested more than two dozen methods. One rule that was discovered was that there were many small cloud formations before an earthquake. Small earthquake activities usually follow the rule of "concentration -- calm -- earthquake." On February 4, 1975, there was a magnitude 7.3 earthquake in Haicheng city, Liaoning province and the above rule was applied appropriately to predict that earthquake. This was the acme for the earthquake researchers. That was one of the two most scientifically significant earthquake predictions in the world. The other one took place in another socialist country, Soviet Russia. At the time, the Chinese researchers were very optimistic. At the review meeting, phrases such as "the ice has been broken" were used. "Everybody thought that earthquakes can be predicted. Even great scientists like Li Shiguang were very optimistic." Xu Shaoxie said the state leaders were also excited and made the demand to "make predictions of magnitude 5 or high earthquakes twenty-four hours beforehand." Earthquake prediction researchers were treated as heroes everywhere they went. In February 1976, Mei Shirong and three others attended UNESCO "International Conference On Inter-governmental Reduction of Earthquake Damage" in Paris. The Chinese scientists presented their experience in predicting the Haicheng earthquake. "We became stars," said Mei. "Some of the sessions had very few attendees. But the hall was filled and silent for the Haicheng earthquake prediction." Their experience as stars stopped 18 months later with the Tangshan earthquake where 240,000 persons died. "We were stunned," said Xu Shaoxie. It is inaccurate to say that the earthquake researchers were totally unaware of the Tangshan earthquake. Even though there were long- and middle-term predictions and some scholars even tracked it for several years, nobody knew the exact timing. Compared to the previous experiences, there were no precursors before the Tangshan earthquake. The earthquake researchers were surprised that the Haicheng experience counted for nothing here. But the public rage against the Earthquake Administration was unavoidable: Didn't you say that earthquakes can be predicted? Why did you warn us about the Tangshan earthquake? Once the reputation of the earthquake researchers was ruined, various "amateur heroes" showed up and many prediction reports about future earthquakes flooded in. Someone asked Mei Shirong what to do. She said, "Forward them as is." But the prediction reports were too numerous to deal with. 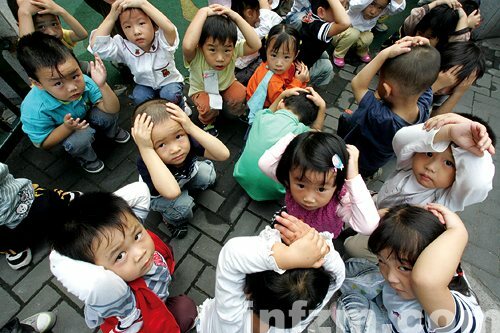 Many of the reports predicted a big earthquake in Beijing. At the time, Hua Guofeng was in charge of this area and he could not help himself. On the evening of August 24, 1976, Mei Shirong, Ding Guoyu and Ma Zongin were summoned on an urgent basis to the Great People's Hall. "He said that you have forwarded all the prediction reports to the central government. So why should we do? You have to give your opinion." The depressed Mei Shirong said, "We don't know much either." "The meeting continued until past 3am. Finally, Hua Guofeng got impatient: 'You tell me your personal opinions, and you won't be held responsible'." Mei Shirong recalled that she decided to say that there would not be an earthquake. The other two concurred. Hua Guofeng then decided not to issue an earthquake warning. Luckily, there was no earthquake. So the nadir of earthquake research came, and some people quit. One of Mei Shirong's subordinates was an expert in gravitational research. In 1977, he insisted on returning to his own unit. "He said to please let him ago." Mei Shirong said. "We had no choice. There was no reason why he should be taking this bitter job." In 1982, this expert was elected to the Chinese Academy of Sciences. Meanwhile, in 1993, Mei Shirong's own bid was shelved on account that she was a "criminal who failed to the report the Tangshan earthquake." Shortly after the Tangshan earthquake, the Earthquake Administration transferred people from elsewhere to study the situation. Since they had been roundly criticized, they could not be choosy. The newcomers were sheltered in newly erected tents to work. The scientists felt saddened and the public thought that they deserved it. These tents stayed there until 1980 when they were removed because they were a blight to behold. They even made it onto television. The Tangshan earthquake made Mei Shirong realize "scientists should not think that things are simple." She wrote in a book that if such an earthquake were to happen again, she still cannot predict it. At a time when science is underdeveloped, astrology becomes science. Since mainstream science is unable to provide the theory, this means that scientists and ordinary people are equal at certain levels. For example, a farmer in Dongya county, Shantong province checks for anomalies in the sun each morning and makes earthquake predictions. "He may say that there will be an earthquake within three days, and somewhere on this planet there may be an earthquake. He makes ten predictions or so each year and he is right about eight times. But he is unable to tell us the locations." China Earthquake Network Centre top prediction scientist Sun Shihong told the Southern Weekend reporter that the information from the farmer "may still be significant." To the general public, this appears to be odd. If a farmer can theoretically predict earthquakes, then who needs science? But Sun Shihong said, "What is science?" "Science is a term," he said "that can be applied to any earthquake prediction method. I cannot explain it. I don't think that other experts can explain it either." After the Tangshan earthquake, the earthquake prediction field needed to re-establish itself. The premise was, Are there precursors in earthquakes? If there aren't any, then there is no point in talking about predictions. "If the earthquake prediction workers want to continue, they must find a way." Mei Shirong said. The Earthquake Administration began a large-scale summary of previous earthquakes and found 921 pre-earthquake anomalies across 60 earthquakes. The final research findings were that earthquakes have precursors and prediction is meaningful. In the late 1980's, the Earthquake Administration developed a system of practical prediction tools that classify and quantify the precursors. With the development of computer technology, the earthquake researchers set up an expert system for earthquake prediction. Yet a fatal flaw continued to exist -- earthquake prediction in China is based upon precursors but the relationship (if any) between these precursors (such as radon or magnetism) and earthquakes are not known to the researchers. Due to the lack of a scientific theoretical basis, the mechanism for earthquake prediction is unresolved. Southern Weekend interviewed Chinese Academy of Sciences academician, Peking University-China Earthquake Administration Modern Earthquake Science and Technology Joint Center director Chen Yun-tai who said succinctly: "I don't think that there is any theory of earthquake prediction." There are many hypotheses internationally, but none can accurately explain the mechanism for earthquakes. The position of the science of earthquake prediction is embarrassing within science in China. "They say that we are just summarizing our experience and we have no theory. They look down on us," said Mei Shirong. "We are like Chinese medicine practitioners, who are regarded to be of poor quality." If the mechanism cannot be determined, they become like the old Chinese medicine practitioners. Their methods may be effective, but they don't know why. Furthermore, the Chinese medicine practitioners are not especially effective at present. The other discouraging part is that the recurrence of an earthquake is often longer than human lifetimes. "You can spend a lifetime some place without ever experiencing two different earthquakes." Academician Chen Yun-tai said that people feel that these natural disasters occur all too frequently. But when they want to study the periodicity, they suffer from "scarcity" of sample data. "Of course, this does not mean that we want more big earthquakes to happen." In the field of science, there are certain appraisal rules. It is more difficult to obtain natural science funding to do earthquake prediction research. "You must provide theoretical results and rules, but earthquake prediction does not have those." "The poorest people are those in earthquake prediction. Even those involved in earthquake construction and earthquake observation are better than us." China Earthquake Administration Institute of Geological Research researcher Chen Xuezhong said that among the various projects by the various institutes of the Earthquake Administration, "we are encouraged to do better -- when we finish a good project, we are awarded 10,000 to 20,000 yuan, but the other people in construction or observation may get several hundreds of thousands of yuan." The oddity of the subject means that it is hard to publish articles. Since publishing is important in the academic field in China, the young earthquake prediction scientists get worried about their academic careers. The young people today are not like those who came out of the tragedy of the Yingtai earthquake and made their promise to the beloved Premier Zhou to dedicate their lives to earthquake prediction. Mei Shirong mentored four students, all of whom went to work for overseas petroleum companies to use earthquake wave detection methods to find oil underneath the earth's crust. "Several years ago, a Peking University professor told me that we should not expect any of their geology students to come here in the next three to five years." Chen Xuezhong also described the sad state of earthquake prediction: "In the past, we had ten or twenty top-flight experts here. Now we only have some individuals who really cannot get any other kind of work." Although talents are being lost and the quality is deteriorating, the hardware is improving. The State Earthquake Observation Network consists of 152 national-level earthquake bureaus. The local networks in the 31 provinces have more than 1,000 earthquake bureaus. In previous years, the hardware for the earthquake observation networks were funded by the Earthquake Administration. Scholars say that the various levels of earthquake bureaus were more interested in investing in hardware than in breakthroughs in theory, because the former can be readily seen by the public whereas the latter has no end in sight. These included networks which can detect ground electricity, magnetism, gravitation and so on. Mei Shirong said, "A lot of money has been spent on a lot of equipment. Honestly, we don't know whether our measurements will show any relationship with earthquakes." But Chinese Academy of Engineering academician Xu Shaoxie said, "Conversely, do you know what things are useful to measure?" In the absence of the theoretical breakthroughs, the only choice is to explore multiple paths." Fortunately, these earthquake bureaus proved to be useful within minutes after the Wenchuan earthquake. But people immediately offered criticisms: compared to the Tangshan earthquake, the progress over more than three decades consists only of being able to locate the epicenter of the Wenchuan earthquake quickly. Mei Shirong had been accused of holding up the prediction report on the Tangshan earthquake. She emphasized to the Southern Weekend reporter that this was "a complete lie." The Earthquake Administration was confident that it did not cover up the Wenchuan earthquake more or less because of its confidence in basic technology. Chinese Academy of Engineering academician Xu Shaoxin said flatly: "Cover-up? We are not good enough to reach that stage yet." After the Wenchuan earthquake occurred, retired Earthquake Administration expert Geng Qingguo claimed to have predicted this earthquake. Previously, he also claimed to have predicted the Tangshan earthquake. China Earthquake Administration Prediction Supervisory Agency director Che Shi stated in a public meeting that "there was no short-term prediction about this earthquake received from any department, individual or group." Xinjiang Earthquake Administration deputy director Wang Haitao said that he read so-and-so predicted the earthquake and so on. He wanted to make some comments to rebut these things, "but it was either rejected or else deleted after I posted them." The reactions in these news stories show the dichotomy between the mainstream and the non-mainstream in earthquake research. Geng Qingguo as regarded as a "non-mainstream" scholar of earthquake research. His present title is executive vice president of the Chinese Geological Society Natural Catastrophe Prediction Experts Committee. This is a global scholastic group which Geng says is "not powerful." His supporter and fellow committee advisor Chen Yiwen told the Southern Weekend reporter, "The Chinese earthquake research mainstream has always suppressed the non-mainstream." For those people who are tired of this, the "non-mainstream" Geng Qingguo was the child who is always crying "Wolf!" "After each earthquake, he seemed to want to cry. Whenever there is an earthquake, he claims to have predicted it. He even says that he has predicted earthquakes around the world, floods, snow storms and so on." An Earthquake Administration expert who was interviewed by Southern Weekend said, "You make an earthquake prediction every other day. You don't need a hundred predictions. You make ten predictions and you hit one of them. Then you say that you predicted it. Why didn't we listen to you? How are we supposed to listen to you? How can I make the government listen to you?" To his supporters, Geng Qingguo was like Copernicus who was oppressed all around. "Geng impresses me most strongly as having a heavy sense of social responsibility, a huge sense for justice and a spirit to pursue the truth." Chen Yiwen said, "he had neither funding nor assistants. The ultimate goal of everything that the Earthquake Administration does is to notify the people before the earthquake occurs. Why is Geng so serious? Why is he so persistent? It is because he cares about people's safety." In truth, the controversy between the "mainstream" and the "non-mainstream" involves another unresolved matter -- was the Tangshan earthquake covered up? The Tangshan earthquake just missed being predicted. The predictors and the earthquake just missed each other. At the time, Mei Shirong was the deputy director of the Analytical Prediction Office of the State Earthquake Administration. There were two groups underneath that office. One of them was was specifically responsible for earthquake prediction in the Beijing-Tianjin area under the leadership of Wang Chengmin. At the time, Geng Qingguo was working for the Beijing earthquake team. This was a Rashomon-like story. From the viewpoints of Wang Chengmin and Geng Qingguo, Mei Shirong was guilty of suppressing the predictions of an earthquake in Tangshan. But Mei Shirong emphasized to the Southern Weekend reporter that this was "a completed lie." "If he really made that the prediction, I opposed him and the people who chaired the meeting opposed him, then we should all be dragged out and shot." "He is talking all over the place now. The people think that he did a good thing whereas I was the sinner." The people on the other side -- Wang Chengmin and Geng Qingguo -- declined to be interviewed by Southern Weekend. After the fight over the prediction of the Tangshan earthquake and the next forty years of events, the earthquake scholars who had been encouraged by Premier Zhou are very far away now. Chinese Academy of Engineering academician Xu Shaoxie does not think that earthquake prediction needs to be divided into "mainstream" and "non-mainstream." "The so-called non-mainstream deserves to be respected if they can hold on." He said, "even blind men feeling the elephant is one way to broaden knowledge. If the blind men file their reports, they will be telling us about the certain true conditions about the elephant." The problem is that China is in a unique situation. Although the techniques are not up to par, earthquake prediction is an official project. "Many government elsewhere are not directly responsible for the issue of earthquake prediction." State Wenchuan Earthquake Experts Committee director and Chinese Academy of Sciences academician Ma Zongjin told the Southern Weekend reporter: "But our government is still working hard on this." So this how the earthquake bureaus at various levels are trapped in awkward positions. On one hand, they are given the task of providing predictive opinions. On the other hand, it is impossible for them to do their job. The reality of technology and the misguided mission are creating certain bizarre effects. The China Earthquake Administration holds an annual meeting about earthquake trends. The various earthquake research organizations and various provincial earthquake bureaus offer their earthquake predictions of the year. Since there has been no breakthrough in theory, it is hard to say who is more authoritative or more correct. The annual meeting is merely the consolidation of the opinions from various places. "Each province deals with itself, each province has its own data and everything is combined together." Mei Shirong said, "The annual meetings over the past several years was about combining things." The main purpose of the annual meeting is to identify the risk zones for the year. As to the number of risk zones and the magnitudes of the earthquakes, there are other checks and balances. "Most of them will say that there may be magnitude 5 or 6 earthquakes. They will draw many circles on the map. If they draw a lot of circles, some of the actual earthquakes will fall into them." Mei Shirong said. "This is the safest way. They would never dare to predict a big earthquake, because a vast amount of work will have to done in the event of a big earthquake." "You cannot say that there will be no earthquake either. In practice, this is a strategic decision and an insurance problem. From the viewpoint of the administrator, there is nothing wrong with inaccurate predictions but it would be wrong to fail to report something." China Earthquake Administration Institute of Geological Research researcher Chen Xuezhong said. Since each province reports many different risky zones each year, there is the talk of various provincial earthquake bureaus "fighting over earthquakes." "This is the way to get the provincial government to allocate funds. What is the point of giving you money when there is calm? They want earthquakes, but not big earthquakes. If you predict a big earthquake and nothing happens, you need to explain why you wasted the money." Mei Shirong said. "So many different interests are entangled here. In some provinces, the prediction analyst says something. The bureau director comes along and says, 'No, this won't do. This is how it should be done.' It gets changed. It can be changed in major or minor ways. It is never certain." Chen Xuezhong said. Each year, the Earthquake Administration calculates how many earthquakes were successfully predicted. In 2006, the Earthquake Administration reported that China has made successful predictions more than 20 times in the last 30 years. "I wouldn't say that the statistical tabulation was wrong, but its standards was very lax." Chinese Academy of Sciences academician Chen Yuntai said, "We drew a large circle around the predicted spot and a prediction is considered correct if an earthquake falls within the circle. Even an earthquake on the fringe was basically considered accurate. To put it bluntly, this is changing the rules of the game in the middle of the game. The numbers carry no meaning." Compared to the orderly work within the Earthquake Administration system, the "non-mainstream" scholars were like soldiers on surprise attacks. In truth, the difference between them is that the "non-mainstream" scholars like to bring their predictions out in a direct manner. An Earthquake Administration expert mentioned that a certain "non-mainstream" scholar once predicted that there would be magnitude 8 earthquake at Beidaihe around year 2000. "At the time, all the central government leaders were meeting in Beidahei. At the time, the State Science Committee leaders wanted verification. This scholar and the Earthquake Administration director went to Beidaihe to make their respective reports. When this expert stepped out of the Earthquake Administration office, he said that if the magnitude 8 earthquake does not occur, he will jump down the office building. The earthquake did not occur." Xinjiang Earthquake Administration deputy director Wang Haitao does not disguise his dislike of the "non-mainstream": "They often magnify their correction prediction of one instance without bounds, and they will do their best to cover up the many other times of inaccurate predictions." He said, certain experts "with who-knows-what purpose" sent the earthquake prediction to Xinjiang Autonomous Area party secretary Wang Yuequan, "The secretary forwarded the note to to us and we had to seriously evaluate their opinions. We gathered their opinions and put them into the files. If he gets lucky, it would be quite something. If he hits it by chance, he becomes a hero and we get to bear the shame of history." As for the "non-mainstream" side, the scholar Chen Yiwen also felt helpless: "Each time that I give the prediction opinion to you, you ignore it. What should I do?" "I detected all sorts of phenomena and I want to report them. I don't consider what people will do to me if I fail. I only want attention, vigilance, education and prevention." "The people at the Earthquake Administration say that we are retired and we should go to play in the park. What we doing right now is to cause chaos." 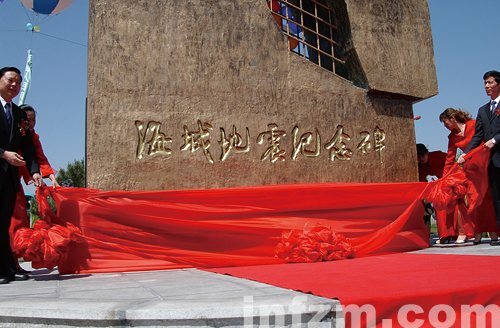 The stele to commemorate the Haicheng earthquake was unveiled on May 20. There are two ways of thinking in this world. In one way, scientists can make earthquake predictions and everybody can decide for themselves. Citizens can decide whether they want to evacuate, and governments can decide whether they should shut down. In the other way, scientists do not have the authority to make any comments about earthquakes, because the quality of earthquake prediction is rather poor right now. "Can you say that you are accurate," said an Earthquake Administration expert. The reality of technology and the misguided goals finally affected the end outcome of the predictions. For the mainstream earthquake system, prediction is where the public places the greatest hope and it is also the hardest to decide upon. Mei Shirong remembered that she had issued a prediction about an earthquake in Beijing. That was towards the end of 1976 when the pressure from the Tangshan earthquake was great. But she cancelled that prediction shortly afterwards. "I walked down Chang'an Street and I saw people fleeing like as if this was the War of Resistance Against Japan. People didn't know whether they should head east or west. I was truly stunned. We are insignificant beings and the predictions are like flipping coins. But one opinion can affect the lives of hundreds of thousands of families. We cannot make predictions so casually, because the impact is too great." This was the only earthquake prediction ever made by Mei Shirong, who is regarded as an authority in earthquake prediction. "And it was inaccurate." In August 1976, there were also two magnitude 7.2 earthquakes in Songpan and Pingwu in Sichuan province. Before that, the earthquake experts had found large numbers of anomalies and therefore made earthquake predictions. They also discussed whether they should classify this as "magnitude 7 or higher." The news came out quickly. It was three months between the publication of the prediction of the Songpan earthquake to its actual occurrence. During that time, it was chaos everywhere. The public was nervous to breaking point. In one village, 61 persons gathered to pray for four days and eventually they all jumped into the river. "Finally, it became unbearable. The government was put into an embarrassing position. They wanted you to say that 'No, it isn't going to happen' and the agony would stop. The Sichuan earthquake bureau was thinking about calling off the prediction when the earthquake occurred." China Earthquake Administration former Analytical Prediction Office party secretary Zhang Zhaocheng said. The prediction of the Songpan earthquake was criticized afterwards. The prediction had come too early and caused a great impact. Afterwards, the Sichuan provincial party committee was accused of spending too much effort to earthquake prevention and therefore "suppressing the Cultural Revolution with the excuse of a pending earthquake." During that time, someone fled Sichuan for Tangshan and died in the earthquake there. As for the miraculous Haicheng earthquake of February 4, 1975 that was regarded as a positive example, the earthquake research community regarded it as a double coincidence: the self-confidence of the researchers and the iron fist of the political leader. "The Haicheng earthquake occurred during the Cultural Revolution. Mao Yuanxin was the Liaoning Revolutionary Committee director. The Earthquake Adminstration said that there could be an earthquake, which could possibly be very big. Mao Yuanxin said to bring everybody outdoors. And there actually was an earthquake." A China Earthquake Administration expert recalled. Mei Shirong summarized earthquake prediction into two problems: "It is a problem about whether we are able to predict or not; it is a very big problem about whether we should predict or not." In general, prediction is a scientific problem and an even bigger social problem. All the problems go back to the same old issue: earthquake prediction is inaccurate. The various considerations by the Earthquake Administration on this problem are based upon this point. According to the existing <Regulations on earthquake prediction>, the provincial earthquake bureaus are responsible for providing predictions and the various levels of provincial government are responsible for publishing earthquake warnings. Sometimes, the Earthquake Administration provides a situation report to the provincial government officials which is not a formal prediction report. This is equivalent to a notice. The local government will have to weigh the pros and cons about the consequences of publishing the earthquake prediction or not. "Giving out an opinion is not the same as making a prediction. In some places, it is better off not to publicize it because the harm is greater. In some places in Yunnan, a magnitude 6 earthquake will not cause many casualties. But if an earthquake warning is sent out, the entire society may stop running." China Earthquake Administration Institute of Geological Research researcher Chen Xuezhong said, "The provincial governments are very cautious about magnitude 7 or higher earthquakes. If the evidence is insufficient, they will suppress the prediction or else reduce its magnitude (such as from magnitude 6 down to 5-to-6)." Qing Gang is the author of "The Tangshan Earthquake" and he wrote in the essay <Initial explorations of earthquake prediction> about the Wenchuan earthquake that the Earthquake Administration has changed its attitude towards earthquake prediction. In the ten years after the Tangshan earthquake, the Earthquake Administration was most afraid of "false negatives" and the government was most concerned about "false reporting." After 1986, the economy and society progressed. "False positives" and "false negatives" became more important as stability was now more important than anything else. Xinjiang Earthquake Bureau deputy director Wang Haitao said that since the 1990's, Xinjiang did not have a prediction report (apart for aftershocks in the aftermath of an earthquake) that was sent to the Xinjiang Autonomous Rule Region government. This was basically quite common in the various other provinces. Since there were not many prediction reports, the various earthquake bureaus are better known to the public for "dispelling rumors." Fujian provincial Earthquake Bureau former director Chen Hong'e said that his main function when he got that job in 1987 was to dispel rumors. He received an Earthquake Administration first class award (including money) for dispelling rumors. "One time, an expert predicted that there would be an earthquake at the certain place in Xinjiang. Everybody from high to low paid attention. What was to be done? We retrieved all his previous predictions on Xinjiang. Most of what he had reported previously was wrong. Can we trust him this time?" Wang Haitao said. Actually, from the China Earthquake Administration to the local governments, the aforementioned conservative method reduces the public fright over inaccurate reporting but it also reduces the potential benefits of direct reporting. Moving ahead, Mei Shirong said that big earthquakes are not mentioned at the annual meeting because local earthquake bureaus make the basic opinions that there will not be any big earthquakes. When the local earthquake bureaus make only conservative predictions of small earthquakes in order to avoid the wrong predictions of big earthquakes, earthquake predictions become less viable -- even though it is not achievable based upon contemporary science. "When the government has to make important policy decisions based upon poor science, the government has to assume a high risk which is unfair." State Wenchuan Earthquake Expert sCommittee member and China Earthquake Administration Institute of Earthquake Prediction researcher Zhang Guomin said during an interview with the Southern Weekend reporter. If there was no earthquake, then there are no problems with the awkward operational system. The results form the network of observatories and the disaster prevention/relief efforts are visible. The researchers are looking forward to a breakthrough in prediction methods, although they are saying that it may take several generations or even longer. "This magnitude 8 earthquake destroyed the confidence of earthquake prediction researchers." Wang Haitao said. "We worked very hard, but the heavens did not reward us." According to China Earthquake Administration Institute of Geological Research researcher Chen Xuezhong, the impact of the Wenchuan earthquake was greatest because the Wenchuan area was not even marked as a potential risk area during the annual meeting. This meant that there had been no short-term warning, not even a mid-term one. Compared to the Tangshan earthquake, this was even worse. Although there was no short-term warning for Tangshan, it was at least circled in the middle- and long-term predictions. A sense of foreboding was more or less present, and once it was realized, it brings so much more regret. Worse yet, you might have thought that you will only see it just once in your lifetime, but here it happened twice. Just after the Tangshan earthquake, Mei Sirong remembered the circle that she personally drew. After the Wenchuan earthquake, Mei Shirong remembered that she reminded herself "at least once": "Magnitude 8 earthquakes wwere happening all around China in Indonesia, Russia, Japan and Pakistan. But the seismic activity in China was very low this year. Calm is not a good thing. One day when we least expect it, there may be a big earthquake in the manner of Tangshan." She said, "I kept saying that, but I could not come up with the location Wenchuan. I had not done the detailed research." Wang Haitao recalled the construction of the mobile earthquake observatories in Sichuan. "They were right around the fault line of this earthquake that China Earthquake Administration Institute of Geological Research researcher Liu Kaiyuan set up 300 measurement devices to make observations as a major '973' project. The devices were about 20 kilometers apart. He wanted to have a thorough understanding of the detailed structure of the earth underneath this area as the scientific basis for earthquake prediction. Unfortunately, our observations were still going on in the field when the earthquake struck ..." Words like "reflection" were used over at the Earthquake Administration. After the Wenchuan earthquake, the China Earthquake Administration set up a special summarization/reflection leader team. Some of the China Earthquake Administration authoritative sources interviewed by Southern Weekend used phrases such as "the Earthquake Administration was unable to give an account of itself." "This magnitude 8 earthquake yielded no precursor signals. This is an extremely important and serious scientific problem, because it affects the more than 40 years of earthquake prediction research as well as the future of earthquake prediction on earth. There has to be a serious scientific conclusion. After the Wenchuan earthquake, we reflected deeply about the various aspects of our work." China Earthquake Administration Institute of Earthquake Prediction researcher Zhang Shaocheng said. Some of the experts mentioned the possibility that a change of the system "may have divided the forces." On Jaunary 30, 2005, more than a dozen Earthquake Administration experts wrote a joint letter to all the Communist Party members within the China Earthquake Administration to oppose the dismantling of Earthquake Administration's Analytical Prediction Center. The Southern Weekend reporter learned that the letter's authors wrote directly: "The dismantling of the Analytical Prediction Center basically has a negative effect, making the hard enough prediction problem even harder." The letter mentioned that the danger of a strong earthquake is approaching China, "In recent years, Chinese researchers have repeatedly emphasized the possibility of a strong earthquake along the north-south belt. But where is the danger spot? Nobody has come up with a convincing opinion. After each meeting, we end up with multiple risk zones with uncertain information. If a big earthquake should hit ... even at a place outside the north-south belt that we have not previously identified before, the consequences are unimaginable." This Wenchuan earthquake took place on the north-south belt mentioned in that letter. The letter also mentioned that without accurate mid- and long-term predictions, there is no way to realize a regular short-term prediction. "Up to now, the strong earthquake risk along the north-south belt has been discussed at many meetings, but there has been no definitive conclusion. This means that relying on the daily monitoring activities cannot solve the problems. We have to rely on more specific scientific research done in greater depth. We have to organize a high quality research term to attack the problem together. At a time when the assessment of the zone with high earthquake risk is ready to be realized, we can deploy a dense network of observatories. That is why we expect to achieve better short-term prediction." "The assessment in 2008 said that the likelihood of a magnitude 7 or higher earthquake was unlikely, but there were actually two magnitude seven or higher earthquakes in the area this year." State Wenchuan Earthquake Experts Committee member and China Earthquake Administration Institute of Earthquake Prediction researcher Zhang Guomin said, "The annual meeting is far from being able to accurately address the list of earthquakes for the year." "Our joint analytical earthquake research organization was dismantled. How do you expect to predict a magnitude 8 earthquake?" Mei Shirong said, "We were very wrong on the overall trend." Apart from the Analytical Prediction Institute at the Earthquake Administration, two other research institutes were also dismantled. Mei Shirong said, "The Lanzhou Earthquake Research Institute was dismantled." This "very strong earthquake research institute" was established in the 1950's and had been responsible for information analysis in western China. "This greatly reduced the research capabilities for the north-south belt." The third thing was to dismantle the Wuhan Earthquake Research Institute. It had been responsible for gathering geological and gravitational data from all around China, and it was converted to a Hubei earthquake observatory with responsibilities for daily monitoring. "Will it pay any more attention to geological changes around China? No." Mei Shirong said, "The Earthquake Administration was fighting the Ministry of Construction over earthquake damage prevention and the Civic Affairs Bureau over earthquake relief." What should be the focus of the next steps for the Earthquake Administration? Should it be earthquake prediction? Does the Wenchuan earthquake imply that earthquake prediction is "undoable" or "unavoidable"? "Right now, nobody dares to stand out and oppose doing short-term earthquake prediction. I can only say that very few people are supporting it actively." Mei Shirong said, "It is very saddening and unproductive to do earthquake prediction. One also has to be concerned about one's future." There has always been doubts about the prospects of earthquake prediction in China. "No country would regard earthquake prediction as normal work." The reporter heard this refrain over and over again during his interviews. Zhang Kaicheng mentioned that in 1997, four famous seismic researchers including Geller, Jackson and Fagan jointly published an article titled <Earthquakes cannot be predicted> in the American journal <Science>. This triggered a heated international debate. The China Earthquake Administration organized experts to discuss the matter and issued their rebuttal. Afterwards, this influence of this viewpoint on the Earthquake Administration worked silently beneath the surface. The reporter obtained information that indicated that the China Earthquake Administration organized an experts' meeting about long-range planning for earthquake work. During the meeting, an expert said directly that there is unlikely to be any improvement in earthquake prediction over the next twenty years. Meanwhile, if buildings are better constructed, there will be fewer and fewer cases of people dying underneath collapsed buildings. Thus, it may not be necessary to spend money on earthquake monitoring and prediction. Thus came the proposal on <Further discussions about the need for earthquake monitoring and prediction>. Zhang Kaicheng said that the Wenchuan earthquake caused the Earthquake Administration researchers a lot of grief. "We should reflect and regroup ourselves. We cannot meekly let earthquake prediction die off." "At the Earthquake Administration, all those people who think that earthquakes cannot be predicted ought to go home." "Non-mainstream" scholar Chen Yiwen said. The scholars who lean towards earthquake prediction are somewhat reassured when Premier Wen Jiabao said at a State Wenchuan Earthquake Experts Committee meeting "that the knowledge about the rules of earthquakes should be deepened, the lessons from the experience should be absorbed, the quality of earthquake prediction should be raised and all this should provide a good scientific model for earthquake prediction in the future." Academician Chen Yuntai made the following interpretation of the earthquake prediction system in China: The people do not want to live in earthquake zones. The people do not want to live in houses which do not hold up so well during earthquakes. But when your country is poor, you have to study earthquake prediction. This reflects the concern of the government about public safety, and it also illustrates the difference between developed and developing countries." What happens next? Chen Yuntai's view is that this is indicative of the state of earthquake prediction. But attention should also be paid that the difficulty in making earthquake predictions should not be the basis for changing direction. A person can change direction. But what should an organization such as the Earthquake Administration focus on? Earthquake prediction. If they can do earthquake predictions, then it will make up for all their other problems. Chen Yuntai is an optimist. He likes to quote the famous scientist and rocket fuel inventor Robert H. Goddard: "It is difficult to say what is impossible, for the dream of yesterday is the hope of today and the reality of tomorrow."